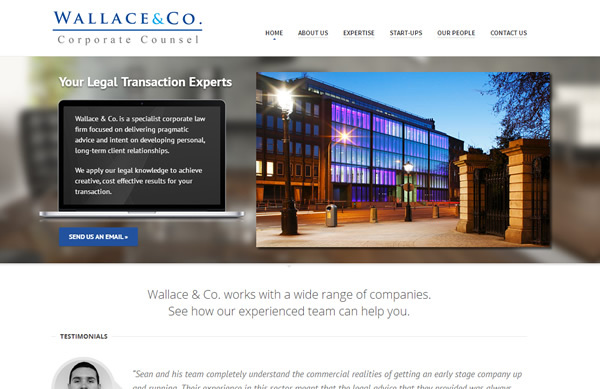 CorporateCounsel.ie is the re-vamped website of Wallace and Co., a specialist corporate law firm. 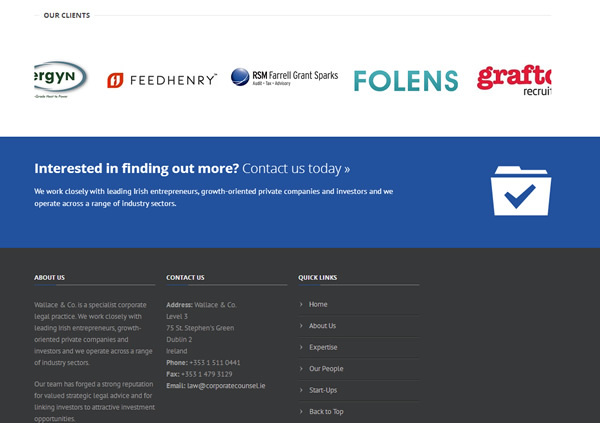 Wallace and Co. wanted an updated web presence to match the calibre of their clients. The majority of their clients are high potential start-up firms, or established industry leaders involved in the hi-tech sector. Wallace & Co. is a specialist corporate law firm focused on delivering pragmatic advice and intent on developing personal, long-term client relationships.